I mean, wow. Just wow. 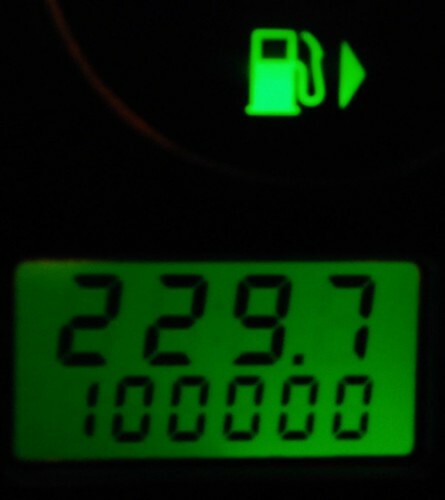 I didn’t think this car would make it to 60,000 miles, never mind a hundred. A HUNDRED THOUSAND MILES. ON MY CAR. People, this is big. This entry was posted on Thursday, February 18th, 2010 at 6:39 pm and is filed under car-ma. You can follow any responses to this entry through the RSS 2.0 feed. You can leave a response, or trackback from your own site. One Response to Do you believe in miracles?